Swimming pools are an essential part of all major schools, colleges and clubs. Having a swimming pool is important for these establishments, not only because they want to earn some extra money, but also because it is what many people look for before selecting a school for their kids or before joining a club. Swimming is one of the best exercises for your body as well as for your mind. But do these organizations really care about the maintenance of the pool? Not maintaining a swimming pool and keeping it dirty causes many problems to the swimmers. It can be a cause for several skin diseases and can also result in major damage to the pool in the long run. There are few very simple things one needs to take care of to avoid inconvenience to the swimmers. The basic and the most important thing about pool maintenance is that the pool should be kept clean by running the pool filter for at least eight to ten hours every day. One should remember to run the filter manually or set the pool timer. If your pool is being used only during the day, the best option is to run the filter in the night. To keep the pool clean, the skimmer baskets should always be empty and should be clear of leaves and debris. Addition of chlorine to the pool on a daily basis is a must to get rid of all sorts of germs that might cause infections. Using a chlorine floater, especially the one with slow dissolving chlorine tablets in it, is regarded by some as one of the best methods of disinfection. The floater should inside the pool at all times and should be replenished once a week. 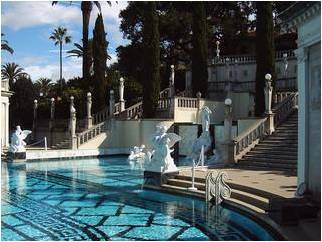 One can even use an intelligent chlorinator for pool maintenance. There are several other ways to add chlorine to the pool. The method of adding does not have the utmost importance; the most important thing is that chlorine is being added or not. One should also pay attention to the pH level and the alkalinity. The pH should not exceed 8.0. Keeping a check on the pH allows you to use utilize the full potential of chlorine. The alkalinity should be between 80-140 PPM. High or low alkalinity levels can have an effect on the water balance and will affect the sanitiser’s ability to perform. Adding chemicals like liquid chlorine should always be done during the day. The chemicals are more effective if added after the sunset. Now, if we talk about the walls and tiles of the pool, they should be brushed as often as possible. Brushing the walls will get rid of algae problems, especially if you have a malfunctioning circulation system. People tend to think that that they should not be wasting money on unnecessary cleaning of tiles. But cleaning of tiles saves you money because if they get calcified they become like plaque, and only a specialist can help you get rid of it, which is going to cost you much more than the cleaning. One should also make sure that they keep a constant check on the cantilever bottom on the deck and the surface of the tile. One should put silicon if there is a crack, since water starts migrating from inside the pool under the decking. One should always replace missing or broken drains or sources of suction. This can be very hazardous. The key to a low maintenance swimming pool is the circulation system. The pump should run for at least one hour whenever the temperature rises by 10 degrees. Mike is a building contractor who specialises in building indoor and outdoor swimming pools. He is also an amateur swimming champion and occasionally writes about pool maintenance.